+e is the current symbol and logo of "extramaster", now what does it mean? Well it's simple, the plus and the "e" both represents "extra", both complimenting each other and strengthening the fact that it is indeed, overkill; a little bit too much extra. 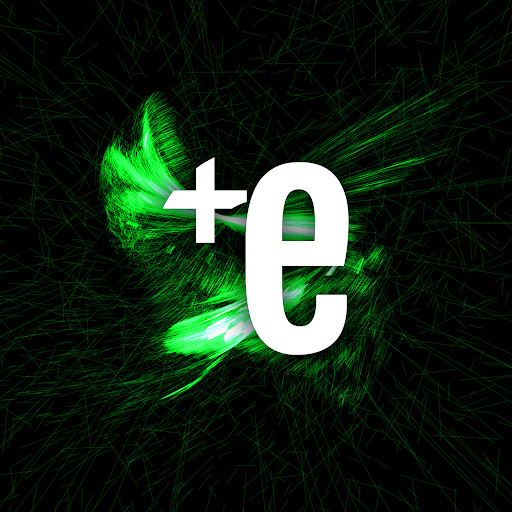 The original logo design and tag was decided as "+extramaster", however, "+e" translates well as a logo and was chosen over "+extramaster". The logo has undergone many changes and different designs, the most recent of which follows the trend of "minimization". A trend that I both hate, and ironically, is the basis of my logo. With that, +e was chosen over eM, +M, +m, E or some other ridiculous variant, as it has a visual meaning along with a secret meaning that reveals "extramaster" as a whole.